Want to talk to us about how your tech leads can understand and embrace engineering principles? The one-day Agile Engineering for Leaders workshop provides technical leaders with insights on how to create a culture of engineering discipline, applying practices made popular in Extreme Programming. These practices reduce time to market, minimize defects, increase business alignment and reduce the cost of change. The result is lower risk, and better outcomes. Getting to these practices requires changes in the way that leaders manage (groups, teams, processes), hire and report. The class is experiential. Key agile principles come to life, by building with Lego Bricks. 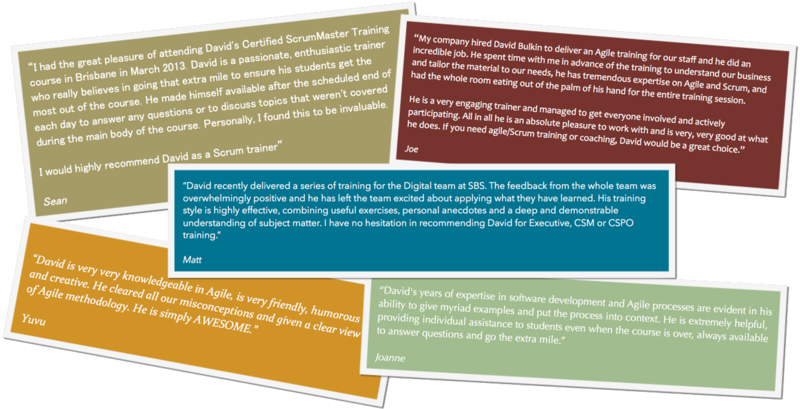 You will apply disciplined agile engineering hands on and learn how to transform customer needs into testable examples, and unit tests, that create shared understanding so that everyone can be on the same page. You will build the simplest thing that works, continuously integrate, and refactor to ensure internal quality of your stores, acceptance criteria, acceptance tests, unit test and deliverables. Upon leaving you will be able to assist your team as they apply these principles; allowing them to deliver software more frequently, with less defects, better internal quality (hitting all “ilities” such as testability, maintainability, reliability, scalability, etc.) while aligning with business goals. As the code base and test automation get better over time it will become easier to add new functionality. Pair Programming Address worries about two doing the work of one, assist developers who won't necessarily take well to pairing, create the physical setup and make pairing work with geographically distribution. Simple Design Provide guidance to your team on how to solve todays problems with clean code that amenable to future change so that they don’t fall into the trap of complicating your system by solving future problems that may never occur.